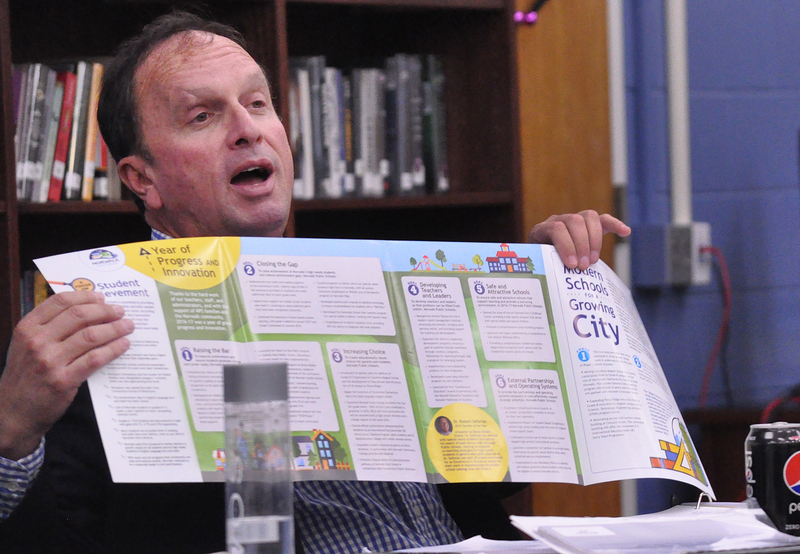 Norwalk Board of Education Chairman Mike Barbis shows off the new Norwalk Public Schools mailer, Wednesday in Nathan Hale Middle School. The first annual Norwalk Public Schools annual report has already landed in thousands of mailboxes, and will be delivered to every address in the City. The flier is being delivered to 35,904 homes at a cost of about 45 cents each, with 31 cents for printing and 10 cents for the postage plus a graphic design fee, a total $16,000 expense, he said. The fliers are being delivered in three to 10 days. It’s already an award winner, having received an honorable mention, or second place, in the CABE (Connecticut Association of Boards of Education) 2018 communication awards for schools with more than 5,000 students, he said. Adamowski also congratulated NPS Communications Director Brenda Wilcox Williams for the district-wide newsletter which won first place for large school districts and the NPS Facebook page which took an honorable mention, or second place. The scaffolding at 45 Wall St. has been removed and the building’s façade looks at least intentional, with freshly painted plywood covering the window openings, a massive improvement over the condition that has existed for years. The current look of 45 Wall St. The building was heavily damaged eight years ago by a fire and remained in dilapidated condition, as owner Ganga Duleep blamed TD Bank for holding up renovations. Duleep won a lawsuit against the bank in 2013, and it still sat… Renovations began in April 2015 after the city enacted a blight ordinance and Norwalk Chief Building Official Bill Ireland issued citations to Duleep and TD Bank. And still, progress was slow… like a snail. Ireland in July said he’d been told that the work would be complete by the end of August. In late September, he said the work hasn’t been completed yet because the windows, which needed to be custom-made, are on back order. NancyOnNorwalk on Tuesday noticed the scaffolding had been removed. Romano said he’d talked to “Rick,” and NRG intends to tap into the high voltage transmission line under Long Island Sound so that when Long Island power plants are shut down for maintenance, people will have electricity. “They beefed up security, put a road in,” Romano said. Rick Reardon has been telling NancyOnNorwalk for some time that NRG plans to use the underwater transmission line to provide Long Island power. 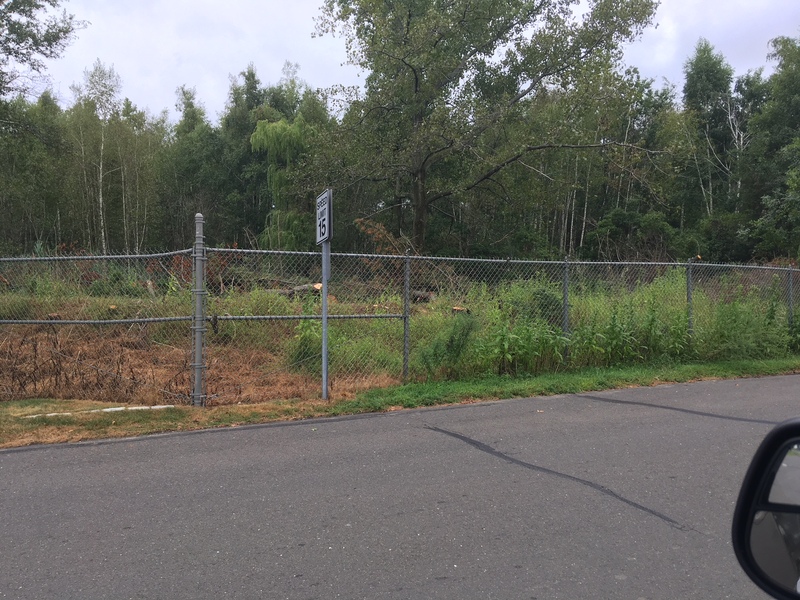 On Saturday, Reardon shared a photo with NancyOnNorwalk, showing that trees had been cut down. NRG spokeman David Knox on Wednesday denied that there’s anything going on at the plant. There’s no construction; some people were complaining about the dead trees along the road so they were cut down, he said. We never talked about consolidating the waste to one above ground tank on the property to do what with ?,An on site spinner or treatment plant.Keeping truck traffic to a minimum should be the goal off of Woodward ave. Whats not talked about is the contamination that needs to be treated on site and what kind of plant needed for such an job. along with the fact all large transmission lines that go thru Ct end up at Manressa. Anyone ever working on the power grid knows the transformers at Manressa are the size of two story houses 50 feet long that generally need to be energized to maintain their integrity. The cables that are in the sound also have fluid in them and a lot of it to keep the lines that were put in by international cable laying ships is somewhat of a modern day marvel from heating up. There’s not much more to mothball its basically a hub for power in the Northeast connecting to Long Island. This is a bit outdated but gives a better picture of whats in the grid its a interesting map. A quick lesson in smokestacks , when you see three or so stacks the same height and a larger one its for one purpose, the larger one can emit more toxins because its higher. EPA gives tons as a number able to admit. What is good is Eversource is a leader in the industry on taking oil and coal plants and making them gas, there is a lot of dismantling when it comes to retro fitting old plants. I never worked at Manressa but did work for Boston Edison if you follow that family tree from Nstar to Norteast Utilities to Eversource plans for power stations have been around for years so there is no real secret what plans have been for years. If your a share holder its anticipation to turn a profit not close and sell property in the hub. Ct has some odd rules on power plants the one right now that does produce has a whole story on why it wants to close and leave the dirty five new shelf life like Norwalk. Thats why I never understood the studies for Manressa when the plans were always the same. 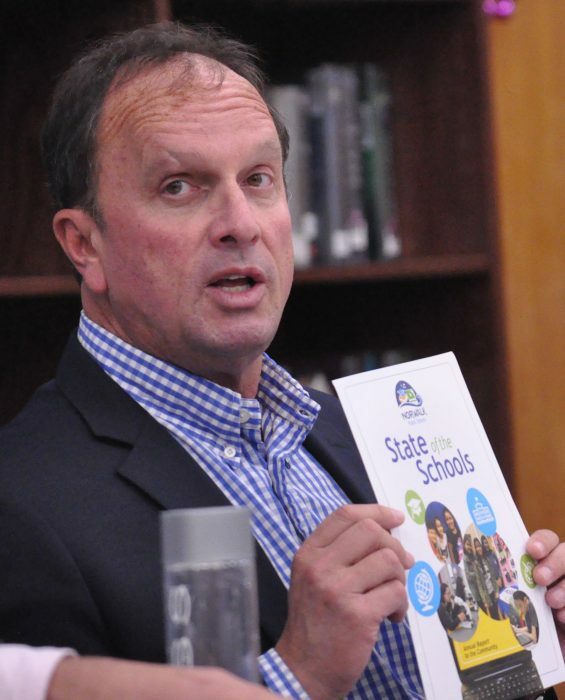 Kudos to the BOE for finally, after many decades of suggestions, in putting out a report. Norwalk citizens traditionally have relied on local newspapers for information. However well intentioned the Supt s claim that “better results” are justified in improved property values is questionable. City property values have been falling alongwith much of the Gold Coast and CT generally. No amount of “improvement” in City schools under current arrangements by our State Government will improve City residential property values. Historically Nowalk Supt’s have not articulated the obvious. Namely school outlays should reflect the ability of City homeowners – now just 60% of City residents – to afford public school outlays. That most City employees, including teachers, live outside Norwalk speaks loudly about both our property taxes and public schools. City schools ought serve taxpayers, not vice-versa. Moreover, the Supt. omits that most of our graduates do not secure 4 year college degrees – the requisite for good jobs. And most students, especially minorities, do not take advanced placements in math and science. No amount of additional tax monies will change those outcomes. They require changes in “family structure”. Finally, in a City with a decade long stagnant Grand list, declining property values, increasing numbers of renters and exodus of long time homeowners it behooves the Supt and BOE to acknowledge that there are real constraints on the school budget. 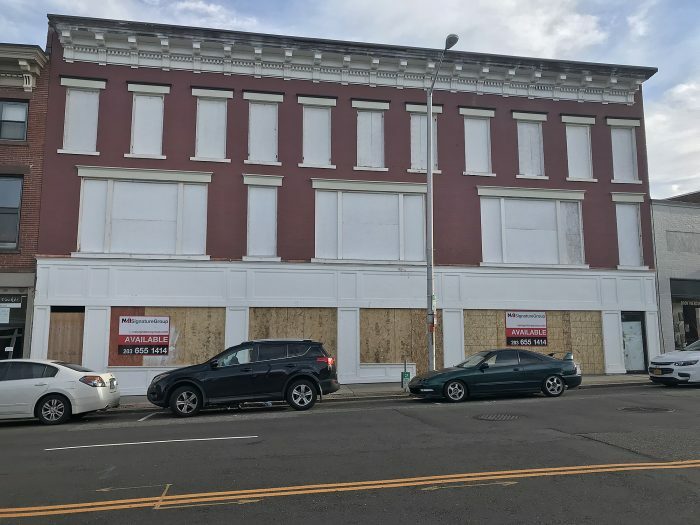 Otherwise Norwalk will continue sliding to a Bridgeport solution. It may take a new Mayor to enforce stricter budget controls on our public school system. Barbis and Kimmel are really rubbing it in with their fancy glossy NPS mailer. We’re being ripped off to see that we have to pay for so many free meals everyday at NPS. And we are not pleased to see all the foreign languages being spoken. This is a city, not an airport. This is sanctuary city stuff and it stinks. And it is costing us way too much. I can’t recall 2 reported crimes by illegal aliens in our state in 20 years.. Are these people angels? Illegal alien criminals to us. They hide their real identities from us. They say, “so and so” from Norwalk or Stamford, even though they are here illegally from a foreign country committing crimes. This is why we need Trump. We need common sense and safety. Dead trees along the road or in areas like lajoies Grasso and City Carting also can be considered deprived vegetation usually found near contamination. Driving down Meadow once in a while you will see dead trees along village creek or if you walk Oyster shell park it sometimes gives one a heads up there may be some dirty dirt near. This is not always the case but serves as a heads up to those who are concerned about the environment.How many dead trees does it take to become concerned without testing? So if the trees go bad you may have a problem with the woodward ave park until than like most contamination its in the ground out of site out of mind like the three buried cells in the Norwalk river never identified by the DPW in talking about the underground feeder line from Vets park. This is why Norwalk needs to back the three boards in Norwalk working on the quality of water and shellfish beds and the environment with who they have sitting on the boards all caring highly skilled people who care about whats going on. They clearly need funding its just not right where state money goes sometimes. Report an Oil or Chemical Spill. Contact the National Response Center at: 800-424-8802. The National Response Center (NRC) is a part of the federally established National Response System and staffed 24 hours a day by the U.S. Coast Guard. A new Bill passed and coined by Ted Kennedy Jr is a Coastal Coastal chemical plan I assume is one of the tools our commissions can use to fight existing or new threats to our coastline as it rises. The city has used something like this in the past but not on Meadow st where building next to Village creek has left enough doubt that Norwalk is ignoring common sense. Glad to see Duleep’s property finally moving into the mainstream after such a long period of blight. Makes you wonder why the City did not insist that she put up simple painted plywood window coverings in the first place. That would have gone a long way in protecting the neighborhood by minimizing the blighted look. Now lets hope she finishes the interior quickly so that new businesses and residents can occupy these long missing spaces. And sign up for the weekly newsletter outlining what’s happening on the Entertainment/Community happenings front in the Wall Street area. The fact that a member of the distinguished Harbor Commission is making policy decisions based on crazy conspiracies spread by a well-known unstable citizen who can’t complete a sentence is astounding. Our resident rumor-monger who apparently intercepts CIA messages in his head has recently claimed the mall is being turned into an amusement park, two-headed rats were seen at Washington Village that were mutated by toxic waste that lies under SoNo (with links to prove it! ), and the old Manresa Island is being secretly turned into a power supply for Long Island. Part of the mayor’s secret plan is to lower the East Avenue bridge to allow nuclear waste trucks to rumble through East Norwalk day and night (see link to CNNA document proving someone with an un-pronouncable name said it, so it must be true). And the Walk Bridge replacement is just a cover story planned by the mayor and his cronies to build a tunnel from Divine Brothers to Vets Park and located just 8 feet (yes, 8 feet!) under the visitor dock pilings, to carry the nuclear waste processed at Manresa and then moved by barge upriver to Divine where it will be unloaded and encased in cement in a secret process that will happen under the Duleep Building (see link to 8 year delay caused by the building of this secret plant). The push for the Wall Street train station is just a ruse, to allow toxic waste workers an easy way to get to their jobs from New Jersey where they live in communes under the boardwalks. You see, the entire city of Norwalk has been hoodwinked by a murderous blood-drinking cult of Opus Dei operatives who are living on Quintard Avenue, in a secret halfway house that is going to destroy property values between Darien and Westport. Their secret plan is to use the Innovation District to attract international toxic waste processors, who were overheard at Barcelona discussing it. They used the phrase “grilled sardines” that we all know is code for the corrupt Common Council. Be warned! All true, because I said it under the influence of cheese doodles and coke, which releases endorphins and completes the electrical connections in my brain so I can communicate with my secret sources through antennas in the fire hydrants in South Norwalk. Now the mayor owes you more cheese doodles Mike ,I suggest to use a little more procaine to cut your coke with. I guess cause MM donates money to you skewered journalists he can say things like “well-known unstable citizen” ? Looks like a total violation of your half enforced comments section. Its ok Bujji I respect the site and those connected to it. I actually wondered how long it would take to happen. I was asking for it. Think about it , you have a public official who shows what he is all about and those who know me know me as nothing more than resident who fights for the underdog. Nancy deserves respect she has always had mine and will always have it no matter what.You have to understand she reports and lets us all have a voice. A good journalist doesn’t write for one they write for all they cover facts not personalities. The picture i submitted on trees has whole story behind it , Mike doesn’t respond he reacts before the story unfolds. Its ok it was a red herring not a can sardines. I figure the three Commissions wont have anything to do with him he not a very happy camper when some of his past surfaces. Put the trees in front of the windows and enhance break ins just a stupid idea. As you can see they really listened to Mike check out the link. Him and Jackie allowed illegal building to remain to allow a company to move to Norwalk and operate with a ten year lease. They moved in and then out to Darien before the paint was dry with its promised 50 employees. maybe taking down trees according to one report 22 of them in one spot at Manressa was for a reason that triggered Mikes buttons. Pictures of a broken fire hydrant and conditions on wall st may have taken its toll they went viral , cant hang Jason this week the city looks bad. Mike is defending what turf he has left Im enjoying it he has shown no control with anyone. Ive been dogging his thoughts for years he has no real understanding of whats up just a lot of talk with very little substance. I still like the guy he is a lightning rod for whats wrong in Norwalk no matter how caustic he gets on cheese doodles. There are plenty of examples of Mike’s comments getting edited. Norwalkers of every political stripe — including elected officials — have told us that they feel the “other side” is allowed to get away with murder in the comments section. So either we are biased against everyone, or perceptions of comment moderation are colored by differing points of view. That said, we’ve asked in the past for comments to focus on policy rather than personalities, and this seems like a good time to reiterate that request. Does anybody have an opinion on the BoE mailer, Wall Street, or Manresa? Comment disallowed for ascribing motives without proof, and insulting the writer.